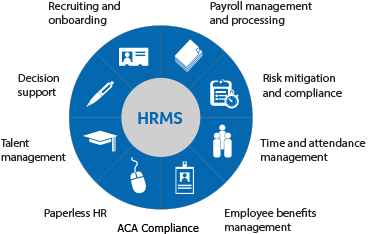 Like most organizations, you probably face several HR-related business challenges including succeeding with limited HR resources, managing compliance & risk of litigation, and ensuring accurate and timely payroll. In this on-demand webinar we will demonstrate how today’s Human Resource Management Systems (HRMS/HRIS) provide an integrated, all-in-one, software solution for automating and managing your organization’s core workforce administration across all areas. Plus! We’ll review in detail how HR technology and applications can positively impact your bottom line through standardized processes, increased productivity, direct cost savings, and better compliance.